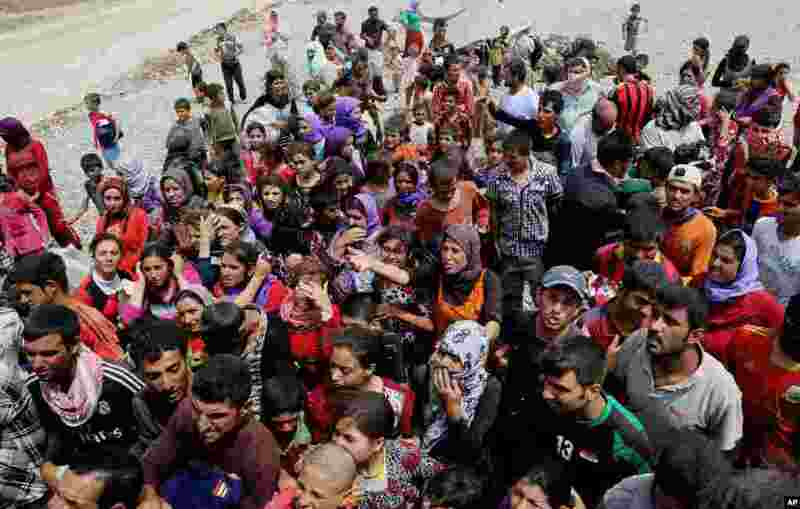 1 About 1.5 million people have been displaced by fighting in Iraq since the Islamic State's rapid advance began in June. 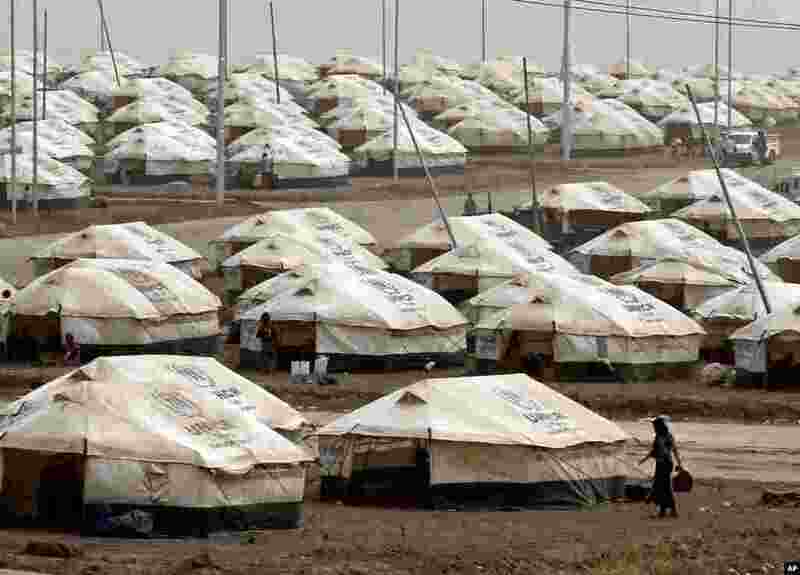 Displaced Iraqis settle at this new camp, in Feeshkhabour town, Iraq, Aug. 19, 2014. 2 Displaced Iraqis receive clothes provided by a charity, in Feeshkhabour town, Iraq, Aug. 19, 2014. 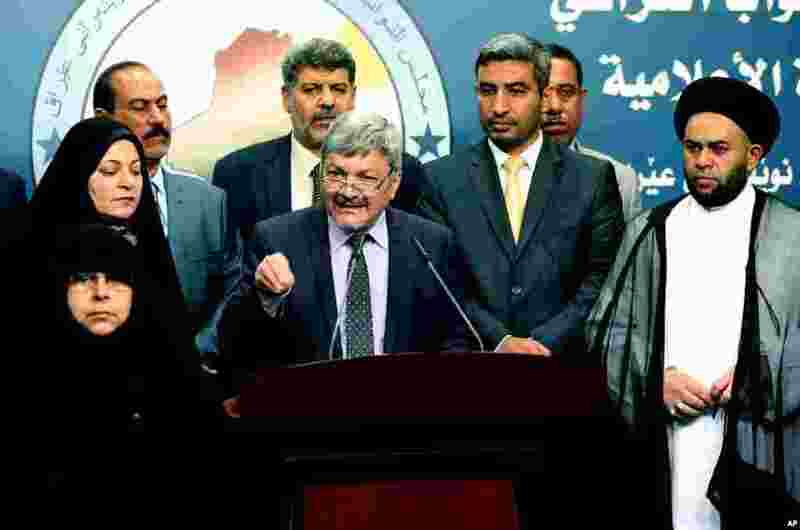 3 Iraqi lawmaker Ibrahim Bahr al-Uloum, center, speaks as lawmakers listen during a press conference in Baghdad, Aug. 19, 2014. 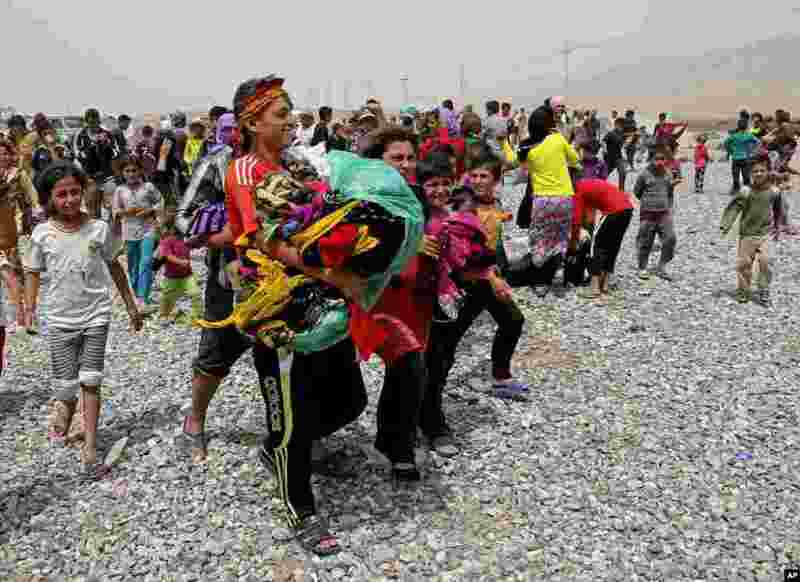 4 Displaced Iraqis carry clothes provided by a charity at a refugee camp, in Feeshkhabour town, Iraq, Aug. 19, 2014.